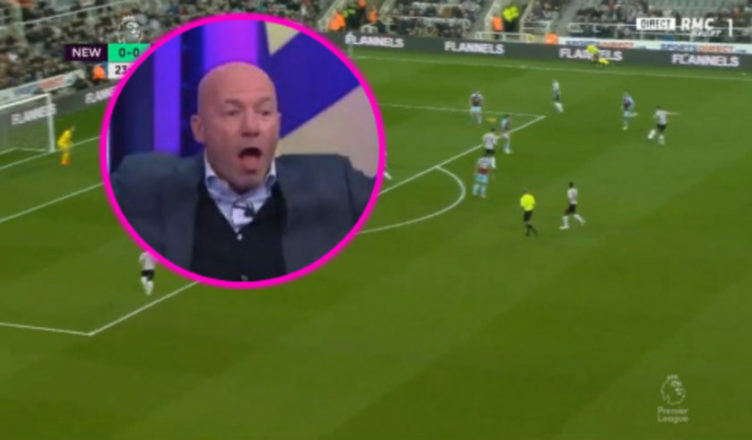 Watch Alan Shearer’s amazing reaction to Fabian Schar’s screamer last night – A must watch – NUFC blog – Newcastle United blog – NUFC Fixtures, News and Forum. Alan Shearer scored a fair share of screamers during his playing days at St James’ Park, but even he was wowed by Fabian Schar’s 25-yard thunderbolt against Burnley last night! We saw his studio reaction to Matt Ritchie’s winner from the spot against Man City recently, but this celebration probably tops that! It really was a quality strike from Schar, a brilliant ball player who is not only showing his ability to defend, ping passes and carry the ball from the back, but also to score – with him now scoring 3 goals in our last 4 league games at St James’ Park!